The cradle of the Kumbh Mela, Nashik sits on the banks of the Godavari – a part of the ancient history of India. Lined with vineyards and wineries, with ideal weather conditions, and significant for the Hindu religion, Nashik is perfect for pilgrims and tourists and lies just 190 kilometres away from Mumbai, the bustling financial capital of India. Here, we have made up a list of the best places for shopping in Nashik, where you may spend an afternoon gathering examples of handicrafts and jewellery which represent Nashik’s culture and history. One of the busiest places in the entire city, Nashik’s Saraf Bazaar gleams and glistens with all sorts of jewellery and bijouterie, with necklaces and earrings, rings and bracelets – Saraf Bazaar is teeming with people buying all sorts of small treasures. The market offers you a variety of gifts and souvenirs, which make sentimental, pretty presents. If preparing for a cold winter, head to the Tibetan Bazaar in Nashik to buy all sorts of woollens from tiny stalls and shops. This list includes socks and gloves, scarves and mufflers, sweaters and jackets at reasonable prices. The bazaar is a perfect place to satiate hunger, with Maharashtrian delicacies lined up in rows at the food stalls. The marketplace offers chaat, vegetarian and non-vegetarian cuisine. Everything is economical, too. Nashik’s Deolali Camp is a tourist attraction for the military base and temples found there. However, Deolali Camp contains shops and markets, and is perfect for picking up a variety of souvenirs, presents and artifacts. 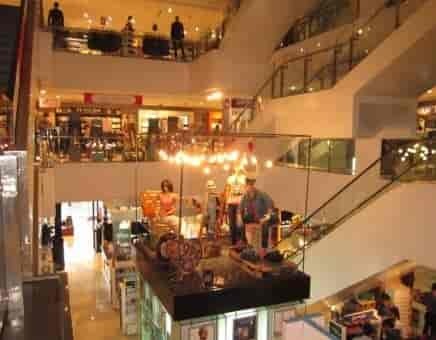 This mall offers many different shops which sell clothing, mobiles and many other items. There’s parking available and food courts for you to have some fancy food. The Cinemax theatres at Regimental Plaza offer a place to relax and enjoy a movie. Offering a number of movies in Hindi, English and some regional languages, the Regimental Plaza in Nashik is a fine way to relax. 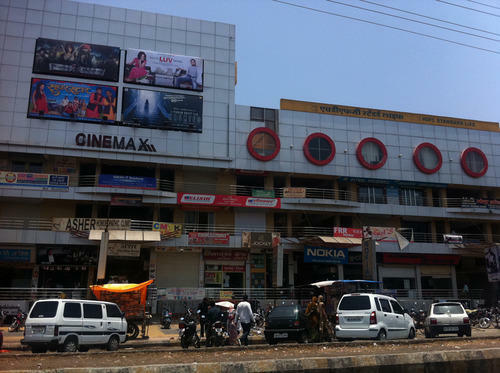 Opened in 2011, this mall is spread over 300,000 square feet and is highly valued by locals in Nashik and visitors alike. Malls are often similar, offering the same array of summer dresses and leather boots behind glass-windows, but they offer a strange comfort to the tired soul. Whether window-shopping or buying something really important, Pinnacle Mall offers a variety of stores for visitors. Even if you are from a big city, you will find it hard to turn up your nose at the City Centre Mall in Nashik which is considered to be the best in the city. Head here to enjoy yourself, catch a movie or grab a bite. You could also hang out here on a boring day just watching the crowds. And if you actually want to buy things, you have really come to the right place. Although typically described as the destination of a pilgrimage, Nashik is a perfect place to visit on a trip as well. Although not exhaustive, this list forms the shopping centres and markets in and around Nashik city. Buy Bidriware, silver jewellery, Warli paintings, Paithani sarees or Kolhapuri chappals. Pack them up and take them home to win accolades for your discerning eye and amazing taste.